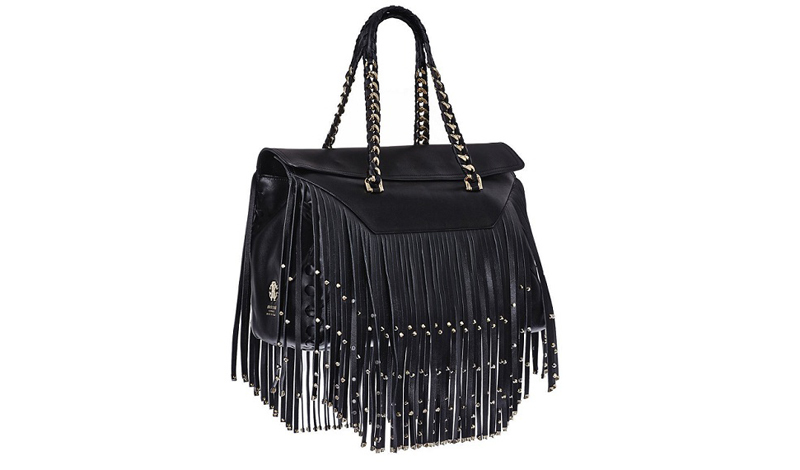 WHY: All you need for fall is to put some fringe on it. As this Roberto Cavalli bag proves, there’s nothing quite as chic as heavy gold hardware accented with a swish of black leather. Perhaps you’ve seen this tote before? Well, it’s graced the pages of a few September issues, but it’s not just editorial fodder: this carryall can handle all necessary essentials for the New York Fashion Week rush, or on a lengthy flight to Milan. Join the fringes.